Inspire cyclists who dream of completing an ultra endurance event. If you’re committed to completing the Cent Cols Challenge, you’re on a journey of personal revelation. You’re doing something many athletes dream of but lack the courage to tackle. 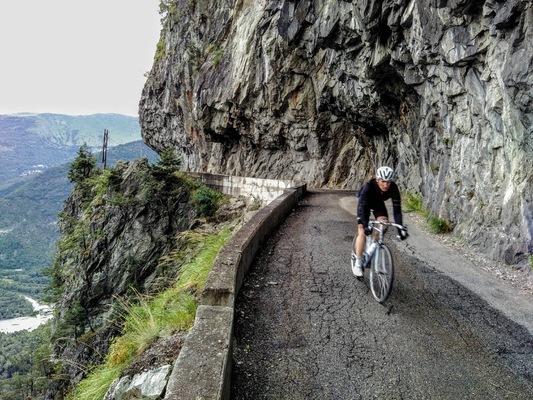 Training for and riding the CCC should give you a shiver of fear and a tingle of excitement. How would you like to share your journey with others? The good, the bad, the terror, the elation, and the absolute truth. We have the opportunity for two of our riders to become featured CCC athletes. What you do is blog your experience training for and riding the CCC. You can use words, pictures, videos - whatever suits your style. We’ll host them on VeloPro’s website and share them with the world and promote them with CCC and VeloPro’s social networks. This is a unique opportunity to cement your experience for future riders and build a following as an athlete. We'll follow you from your first training pedal through the finishing line. This is an opportunity to build an audience, share your hard earned wisdom, and tell the intimate truth about ultra-endurance trials and triumphs. Send an email with the following information to editor@VeloPro.bike by January 28th, 2019. The number of days and distance of your longest event. Answer the question, "Why are you riding the Cent Cols Challenge?" Answer the question, "What is your motivation?" We'll announce the featured athletes on January 30th, 2019.